Another update is ready in my skinpacks folders. I have fixed some bugs in the Carplay version and ported all the features and functions to the "Standard" (let's call it in this way for now) skinpack with "ElectricBlue" and "DarkRed" aka Skin3 and skin4. Essentially we need to be sure that when you run the radio editor the system is already patched, so now you will be prompted to do it if you didn't. Applying the patch mean to replace all the executables of the system with a patched version that allow the use of unencritped strings, these strings will be modified when saving the station names by the radio editor. When you remove the patch the system wil be restored to its original executables and its original strings, meaning that you'll loose your saved 6 buttons and if you patch again you'll have to run the editor again too. The applied patch is taken from the latest firmware 1.10.9 so even if you ahve 1.8.9, after the patch your system will be updated to 1.10.9. In fw 1.10.9 roadnav have added one more "Opera Mini" folder in which they have just changed the exe and one dll. Skinmanager will take care, when patching, of replacing the needed files to have it running, even if you are using opera10. The skinpack for firmware 1.7.9 will come during this week. Please kotix, I bought the carplay skin. How do I upgrade? Delete the old skinmanager folder from your sd card and put the new one in it. If you had the first version of carplay named skin3, you should uninstall it from skintool. Otherwise go in skintool and select "install/update" and update skin 5. Hi Marco, I've installed the latest carplay 15.03.2015 for 1.7.9 and installed patch, I've edited the Radio buttons. The buttons show up ok in carplay radio with my edited names but they don't work when I press them. Should I maybe use the fake ID option or have I missed something? Did you set buttons number? Hi I've got it working (yeahhh). I tried everything including defaulting the S100, finally I re-flashed V1.7.9.18 - then flashed Carplay and the radio buttons now work really well. Just a thought, could you fit 6 more buttons on the RDS screen? Sorry - yes I mean station buttons. Hold yourself! You asked... and 'll have it!! Wow that was quick - excellent news, well done Marco. I purchased the carplay pack15.03.2105 FW 1.8.9- 1.9.9 - 1.10.9 but get an error when installing, I have FW 1.8.9 on a C286 dodge ram. I get cannot find skin 5_eng. please help. I have never installed any skins before this is my first. Please download the skinpack again, delete the skinmanager folder you have on your sdcard, extract the skinpack again on sdcard and try again with skinmanager to install skin5. Hi Nader, I found the problem and I'm uploading the fixed version. How do i download the fixed version? thanks for your help!! the update is working well! I found one bug in both versions. When using BT phone call the switch to mobile function no longer works. Please fix I use this when shutting my car down. Installata la Carplay 15.03.2105 fw 1.7.9, nessun problema a parte la tastiera che compare quando usi il "Radio editor", da me copriva tutto lo schermo, è stato sufficiente abbassarla per scoprire la finestra sotto. Grande KoTiX! Hai reso onore alla S100! Thanks KoTiX... After installing/Updating all the skins, everything is working great!! I will continue searching for bugs.. anyway! Im interested on buying your skinpack but i have this doubt, does nitrogen or my dean players support .m3u playlists? or any kind of playlists? Nitrogen support M3U, M3U8 and PLS. No, non credo... il c219 ha una UI tutta sua. 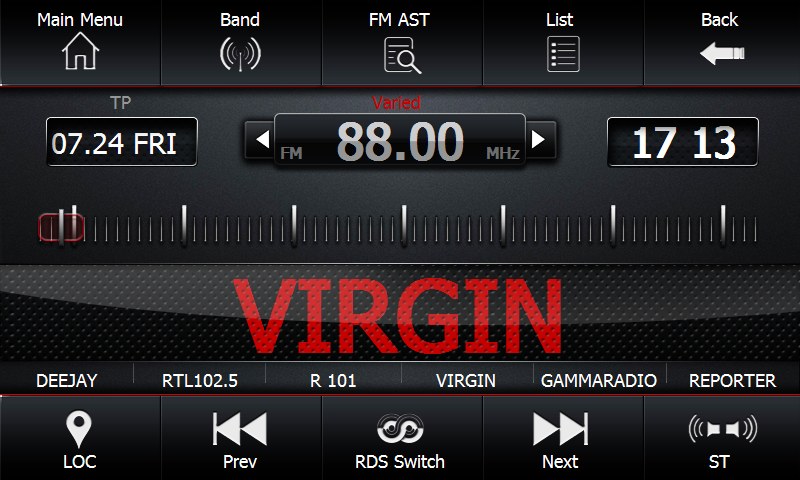 I have tried today edit radio.db file without any problems. I have then copied the file into S100PROGRAM folder. Unfortunately I still see old records in Radio and Radio Station Editor applications - new file exists in the system but it appears that it hasn't change anything. Are radio data written somewhere else? Where does Radio Station Editor store names and button numbers of stations? Radio editor save the buttons names in the string file of your language and in the same time it create a file radio_pl.txt where it saves the numbers and frequencies. 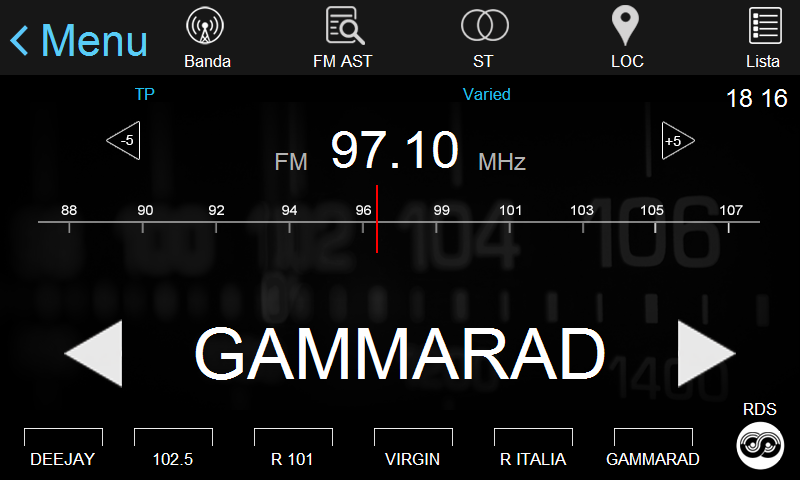 Radio.db is used by the original software to save the stations names but the radio stations frequencies are stored somewhere else, probably in mcu. I have managed this. radio.db saves both name and frequency of stations. The structure of the table in the database is "id (number), freq (string) and name (string). 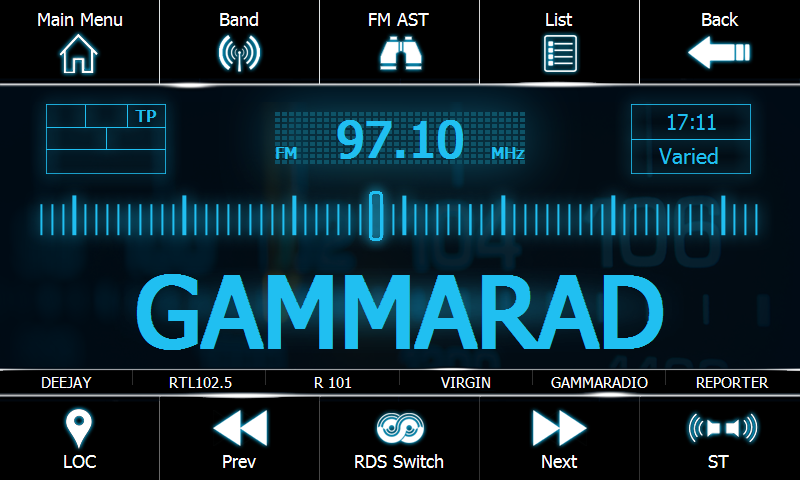 How to make the station buttons functional? Pressing it has no result, neither the selected station is marked. To select station I still have to switch to list view. It would be very convenient if buttons show selected station preset. Once you assign a button to each station they will work. KoTiX, tkanks for help, I will try tomorrow. I have one more question: my s100 device almost always autostarts navigation programm on boot, how can I disable this? What about this undesired autostart of navi program from SD card on boot? Is there any way to disable this? i have got a wish/question for the Radio Station Buttons, but maybe you have this already on your roadmap. Uhm I don't know if it's feasible, I'll make some tests. are there a news about the feasibility? Only colour, or size too? :-( too bad... but thx anyway for trying. Problem: When I use the radio and change band from FM to AM it changes bands but still shows the FM frequency range. Request: Allow editing of stations in the list of stations.Enable deleting of stations I don't listen to. Rewuest: Enable the radio station buttons to be set to the current frequency when held down, sinilar to any standard car radio.